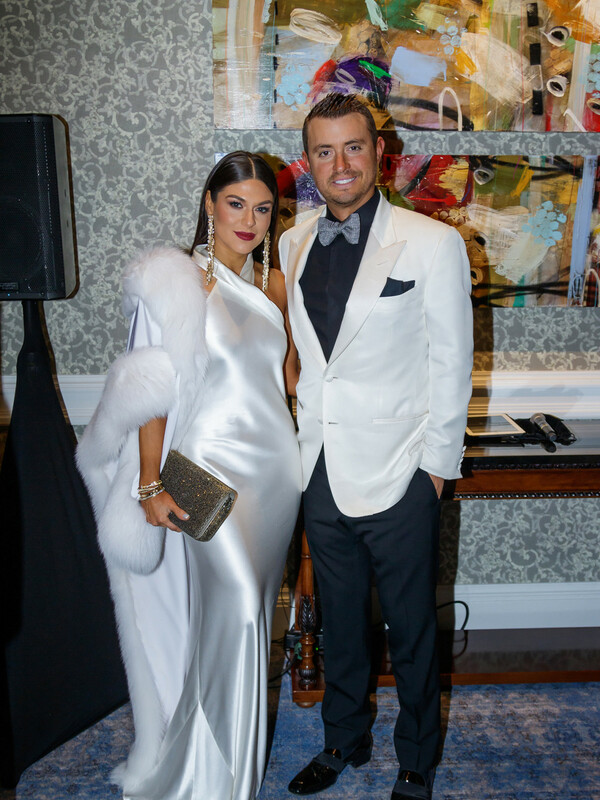 The dress code for the second annual UNICEF Gala called for black and white, and not just because it made for cool, Instagrammy photos. 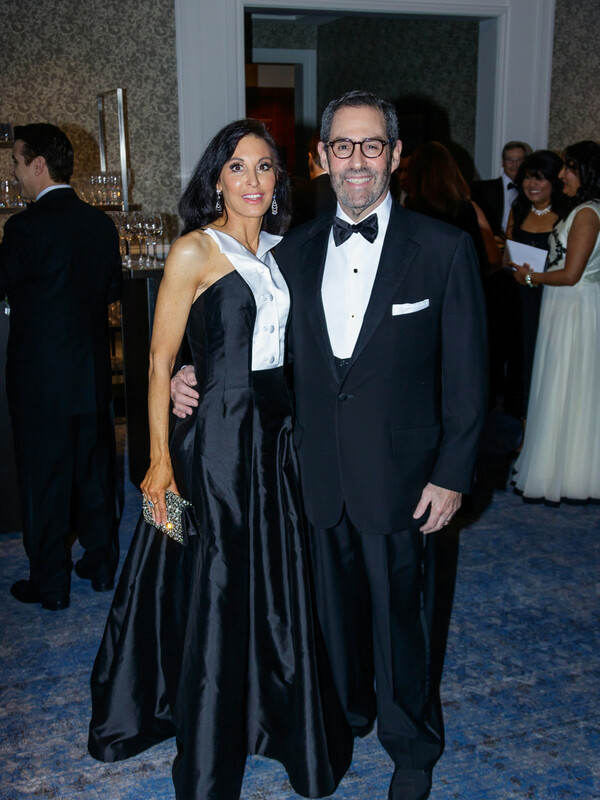 The evening's theme was "Out of the darkness and into the light" to underscore that there are no shades of gray when it comes to UNICEF's mission: "UNICEF saves and protects the world's most vulnerable children, working hard to bring light into the darkest parts of the world," the invitation to the black-tie affair reminded guests. 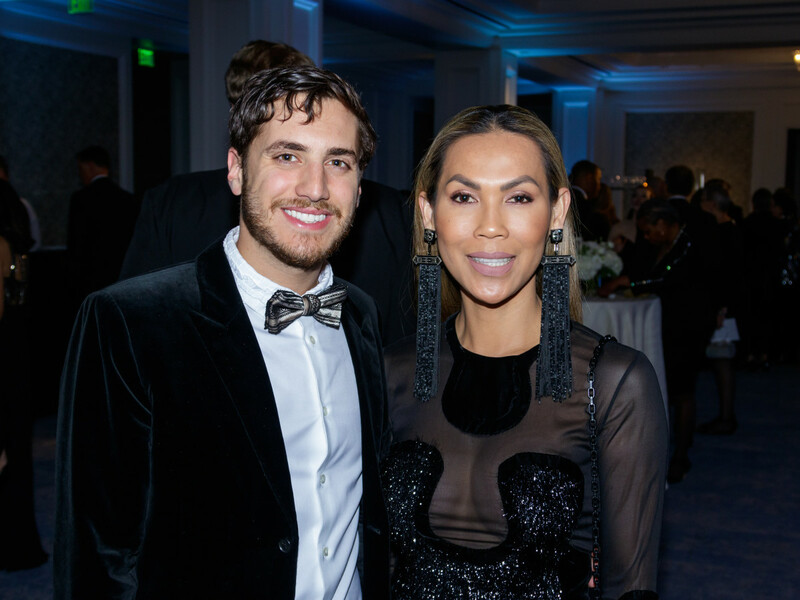 The glittering gala, hosted by the Great Plains Regional Office of UNICEF USA and chaired by Moll Anderson and Jan Miller Rich, brought to the Ritz-Carlton an A-list roster of 420 patrons from Dallas and beyond on February 1. 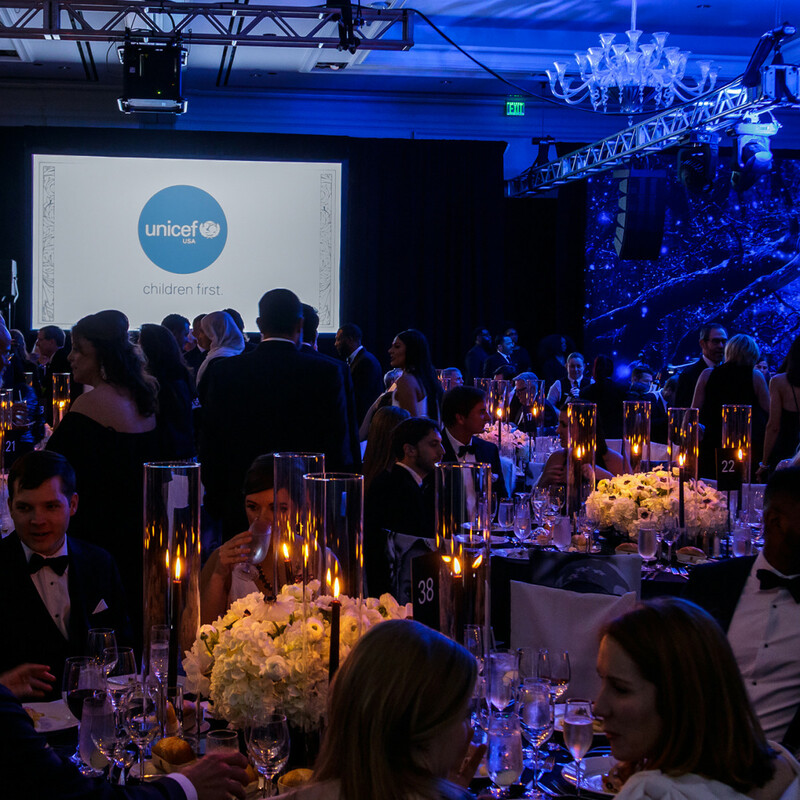 Together, the generous supporters helped raise $1.15 million toward UNICEF's global efforts. 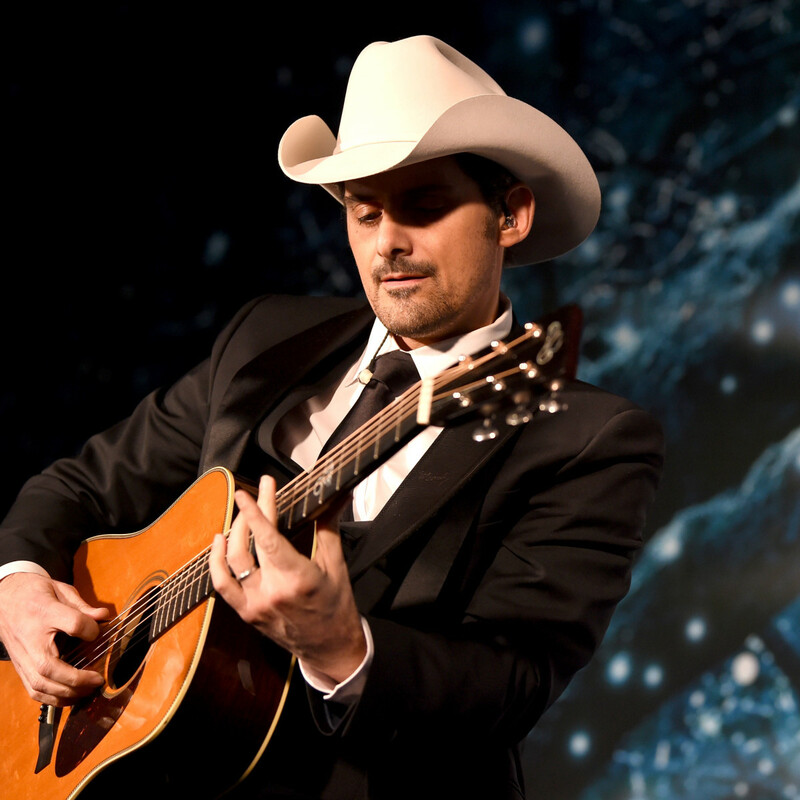 Three-time Grammy Award winner, singer and songwriter Brad Paisley and his wife, critically acclaimed actor and New York Times best-selling author Kimberly Williams-Paisley, were honored with the Global Philanthropist Award for their work with children both domestically and abroad. 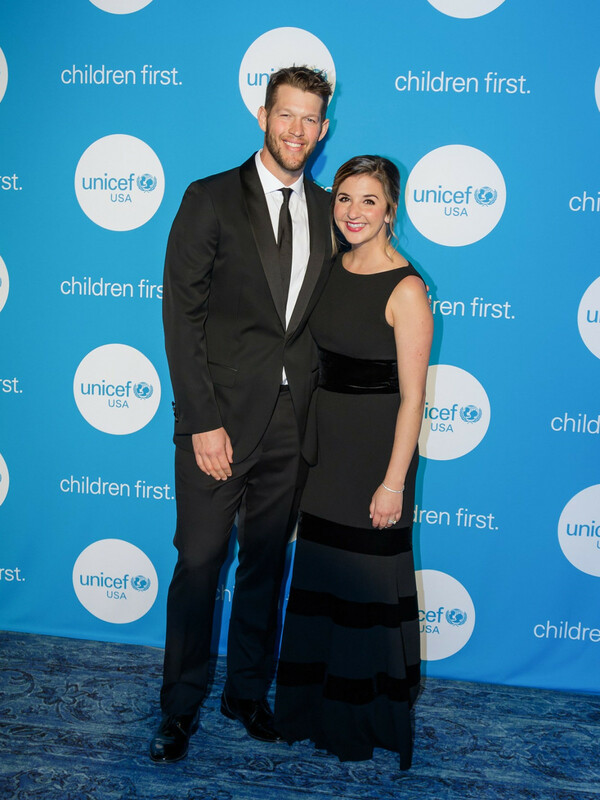 Jill and Jim Cochran received the UNICEF Children First Award for their outstanding contributions for the betterment of children. 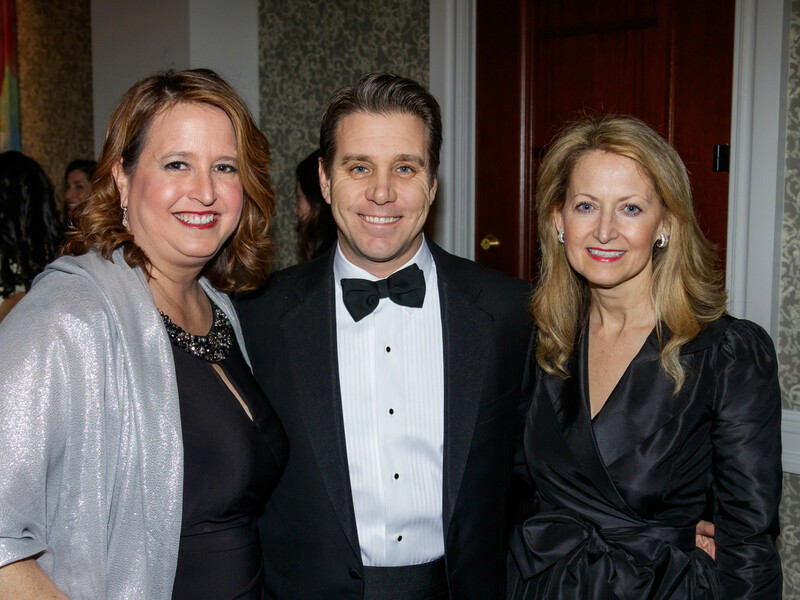 Special guest Sarah Ferguson, Duchess of York, jetted in from Great Britain to host the after-party for the second year. 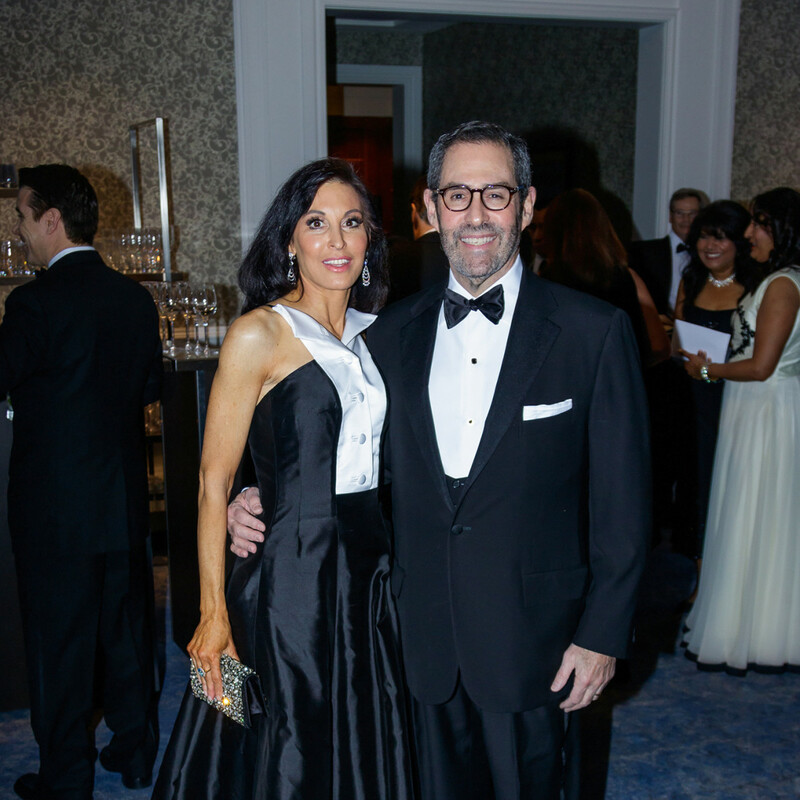 After walking the red carpet and enjoying glasses of bubbly during cocktail hour, patrons filled the stunning ballroom. 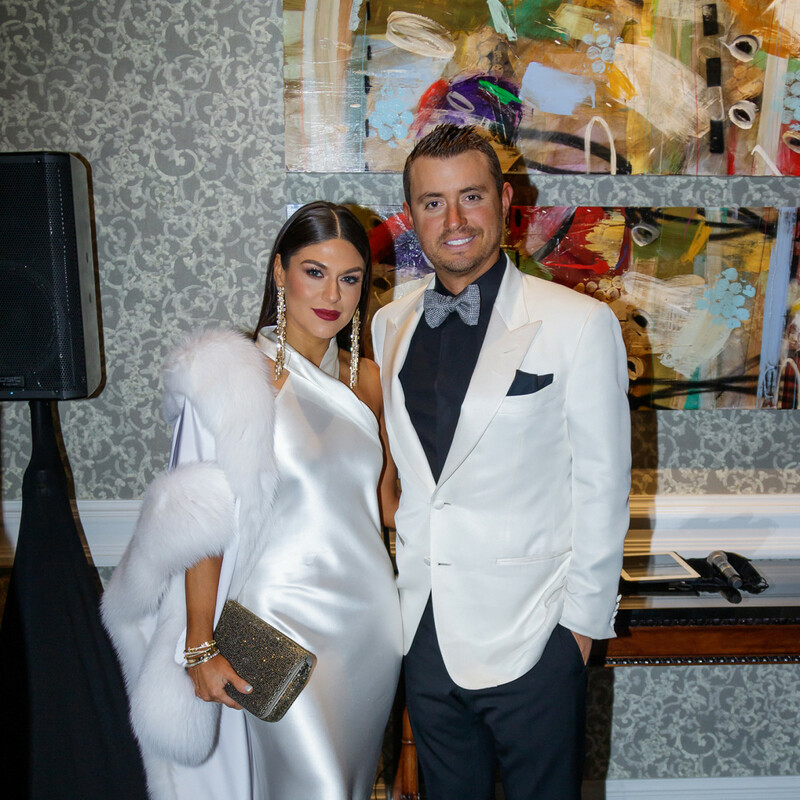 Each table was set with gorgeous white floral centerpieces created by event planner extraordinaire Todd Fiscus, who was in attendance with his husband, Cerón. 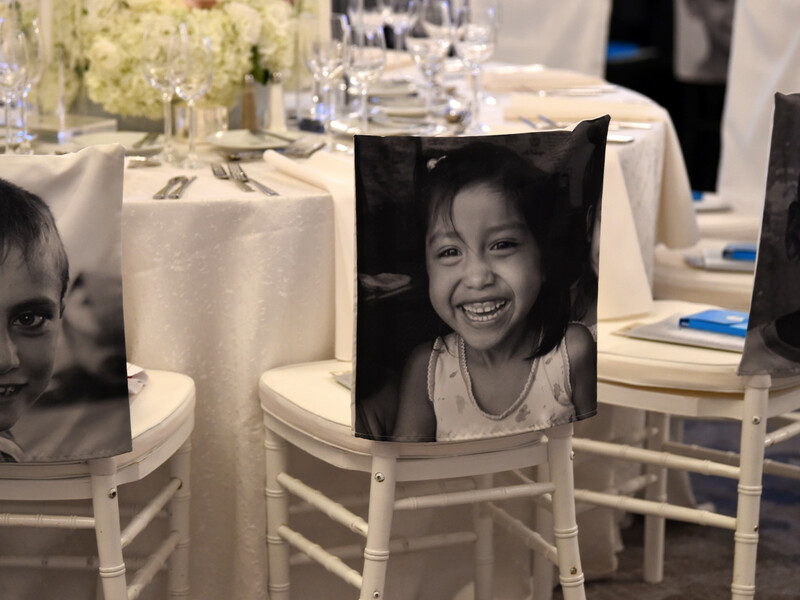 As a special decorative touch, each chair was covered with an enlarged black and white image of a child whom UNICEF has impacted around the world. 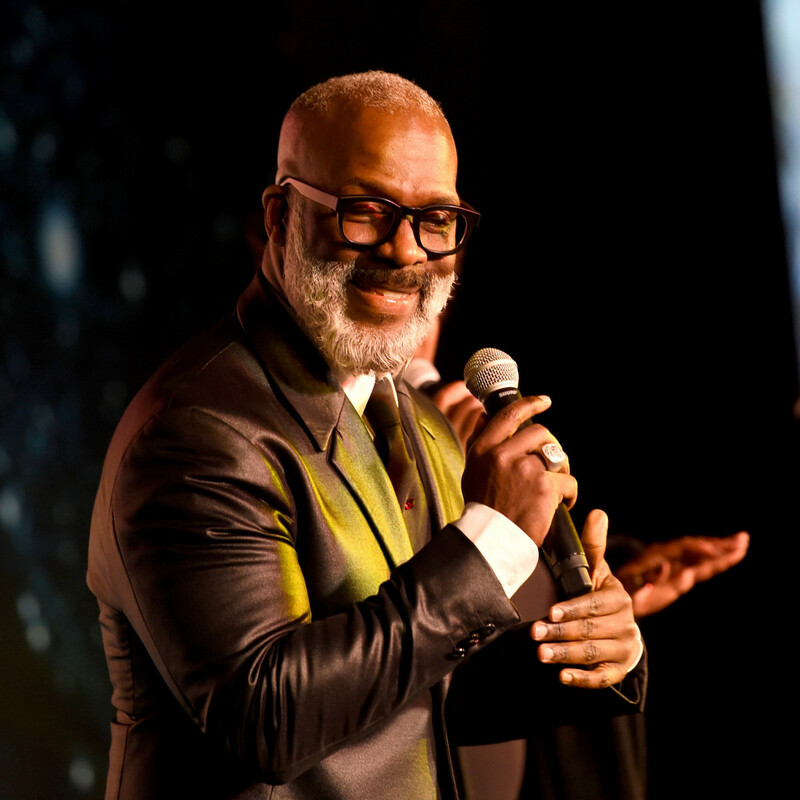 Six-time Grammy Award winning gospel artist BeBe Winans uplifted the crowd with an opening performance, before TV personality Brooke Burke took over to emcee the evening. 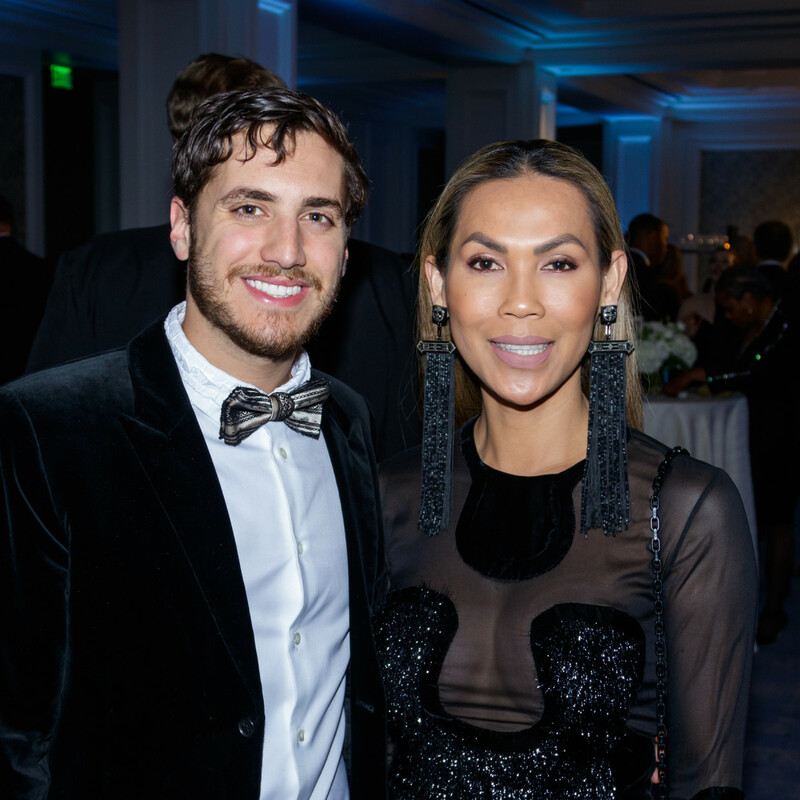 Patrons dined on a three-course dinner of white asparagus salad; choice of wood-grilled filet mignon or grilled salmon with brown butter potato gratin; and dark chocolate mousse with vanilla bean creme brulee, praline crisp, and coconut sorbet for dessert. 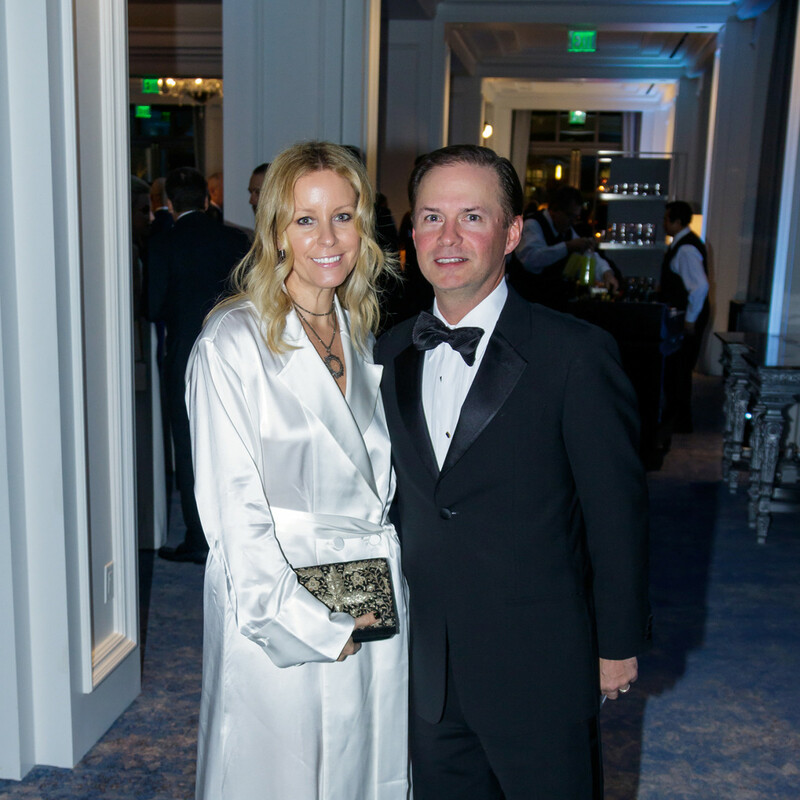 Throughout the night, exquisite wines from Benzinger, LangeTwins, and Gloria Ferrer Private Cuvee continued to flow. 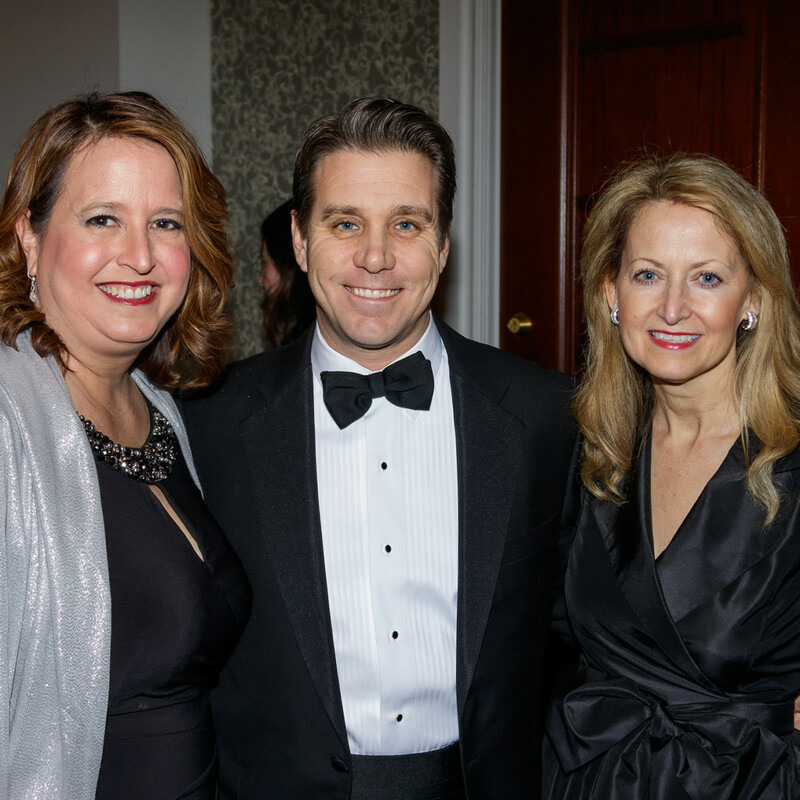 Guests heard powerful and personal remarks from UNICEF USA's president and CEO, Caryl M. Stern, as well as from the Anderson and Miller Rich. 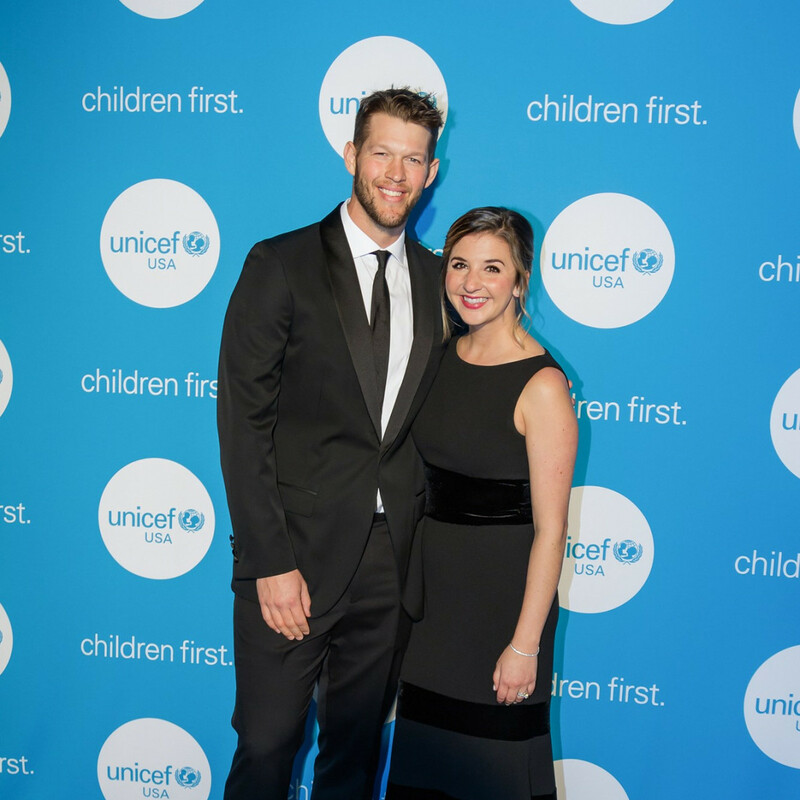 Los Angeles Dodgers pitching ace and Dallas native Clayton Kershaw introduced his friends the Paisleys and praised them for their philanthropic work around the world (and Brad's devotion to the Dodgers). 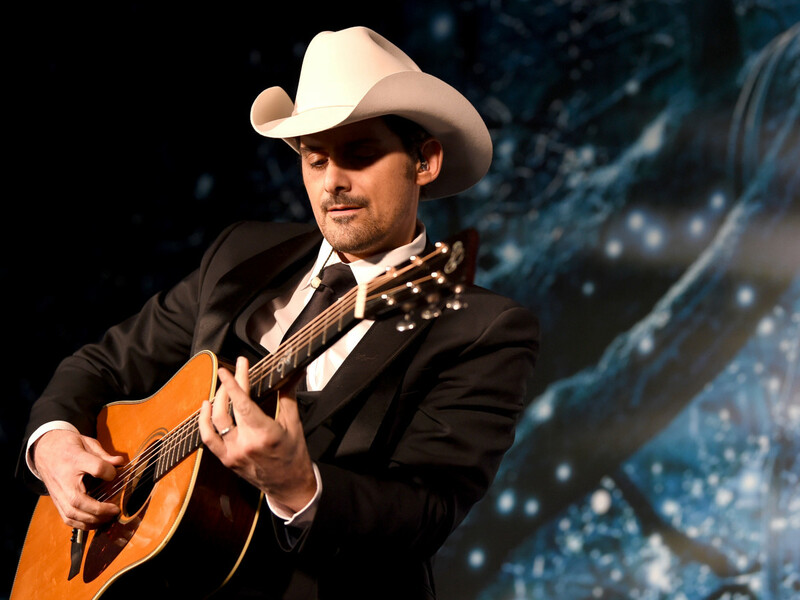 Upon receiving the top award of the night, Brad Paisley recalled how, when he was a kid, his parents made sure he took unpaid singing gigs at places like hospitals, just to give back. 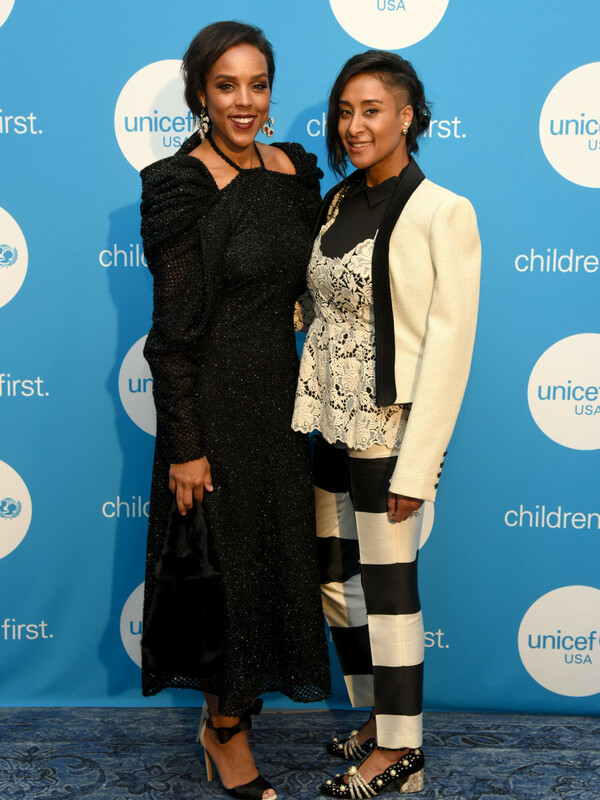 Williams-Paisley said her life was changed by a service-trip to Haiti a year after the country's devastating earthquake. "It shattered my heart to get there on the ground," she said. 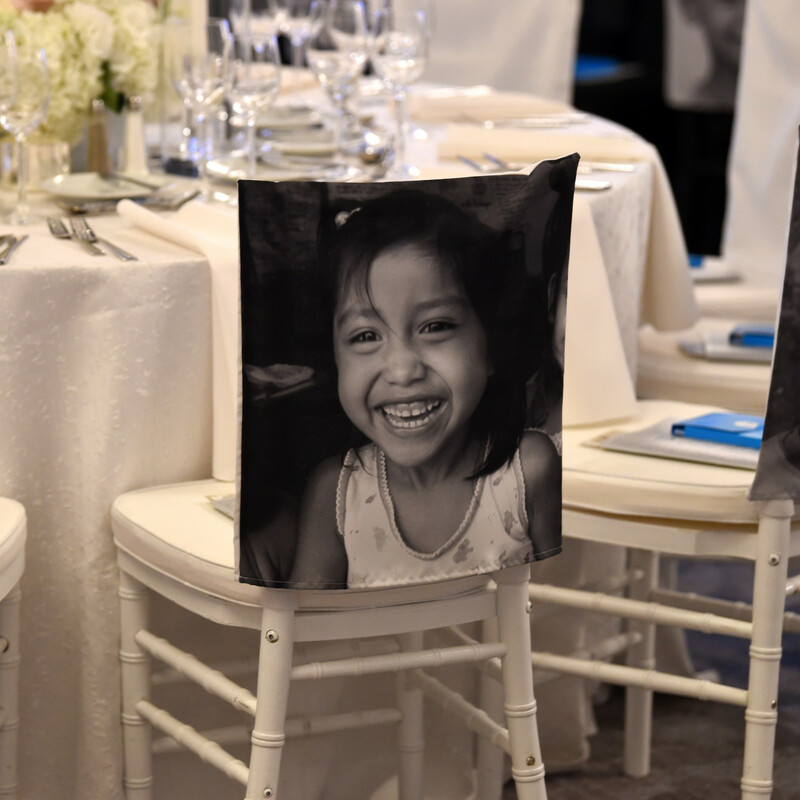 "It happened in a moment I'll never forget when I was in a medical clinic and I saw this mom come in with her starving and sick child, and I recognized the love in her eyes for her child because it was the same love that I had for my kids. It was the same. We're the same. "And I realized that what matters is that I make these people matter," she continued, "because it is a globe and we're all on it, and it doesn't matter if they live in Africa or Haiti or Nashville, Tennessee — we're all in it together." Paisley returned to the stage for a brief acoustic set of a few of his big hits, including "She's Everything," which Kershaw pitched in on. 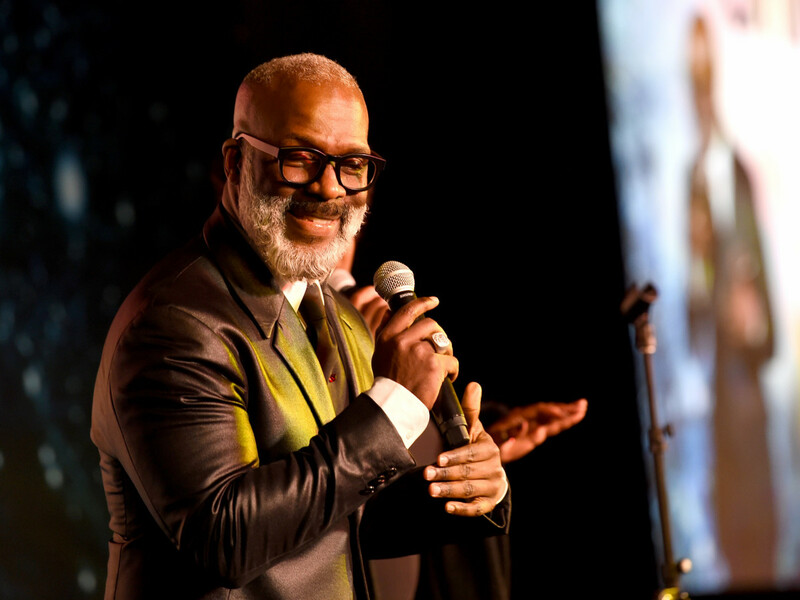 A live auction conducted by Tim Willett fetched tens of thousands of dollars for special trips and experiences. 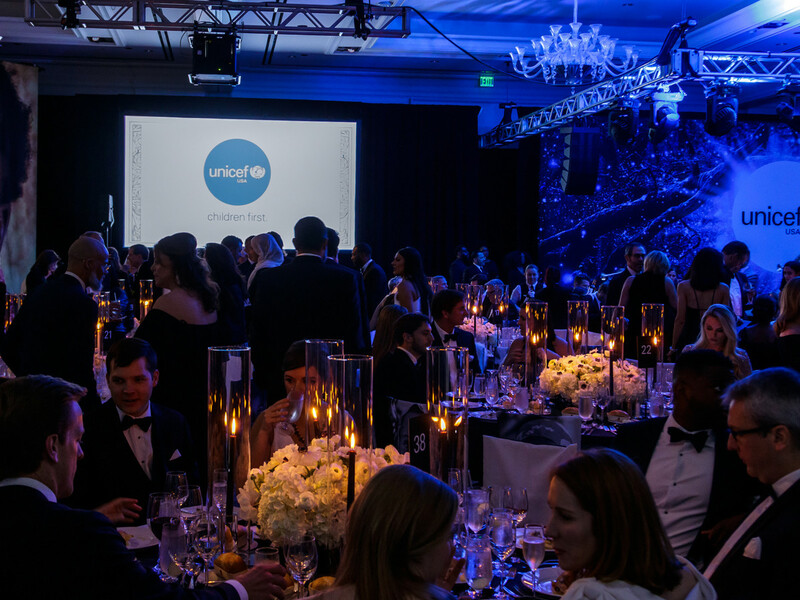 Fittingly, the highest bid went for a UNICEF field visit to learn more about the organization's work around the world. 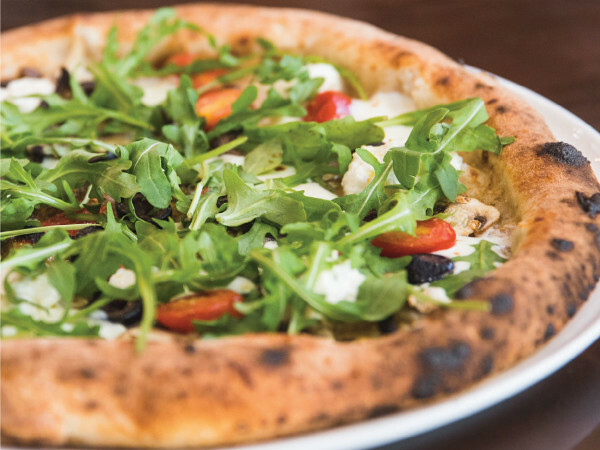 It earned $40,000, and bidding was so competitive, they added a second one for the same amount. 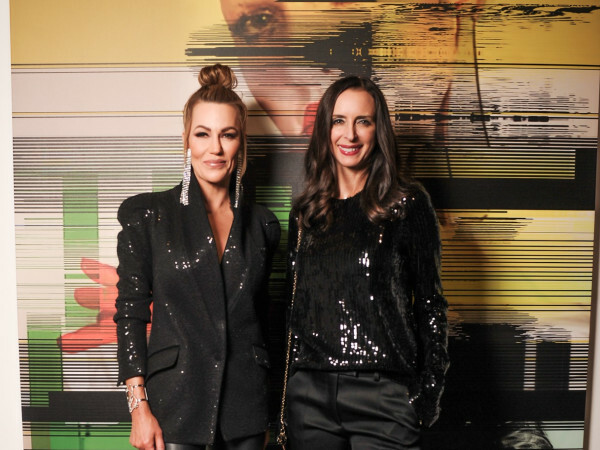 Those who wanted to make a late night of it joined the duchess and other VIPs for an after-party of cocktails and dancing, presented by Bullion, with tunes spun by DJ Lucy Wrubel. 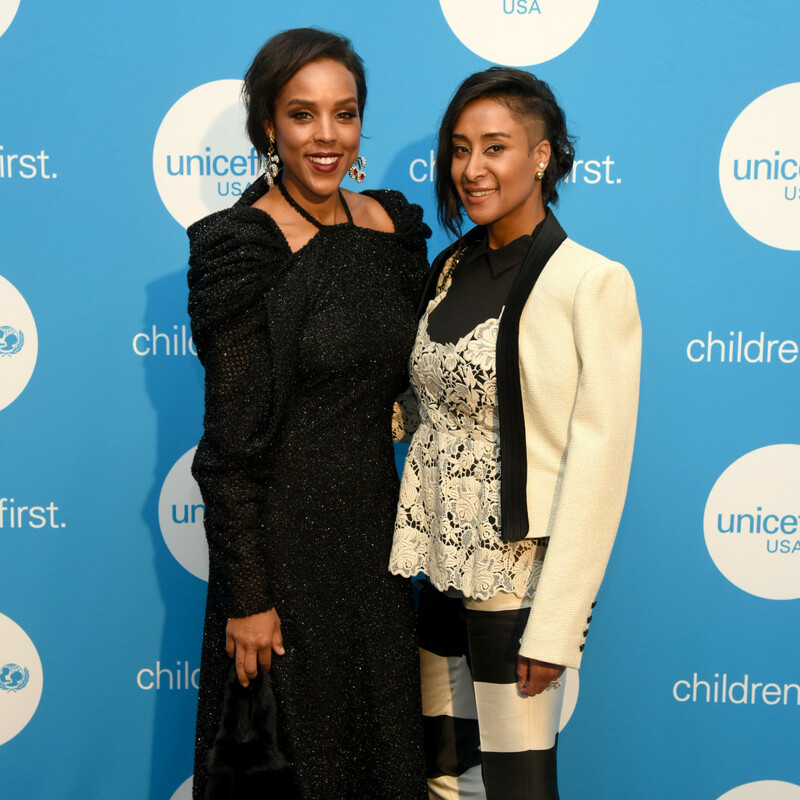 Among the notable attendees were UNICEF ambassador Halima Aden, as well as leaders and board members D'Andra Simmons and Jeremy Lock, Kimberly Chandler, Gowri Sharma, Jessica Nowitzki, Joyce Goss, Leigh Rinearson, Sabrina Harrison, and Selwyn Rayzor. 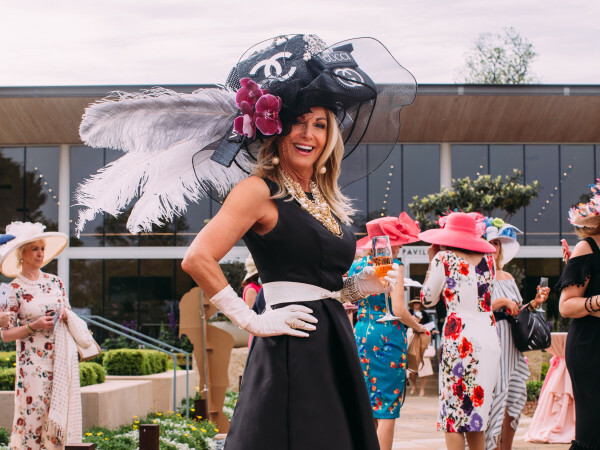 Also, Catie Enrico, Aaron Enrico, Lynn McBee, Field Harrison, Vito Cammisano, Nikki St. George, Rhonda Marcus, Frasier Marcus, Courtney Barrow, Tom Barrow, Billy Fong, and Deborah Scott. 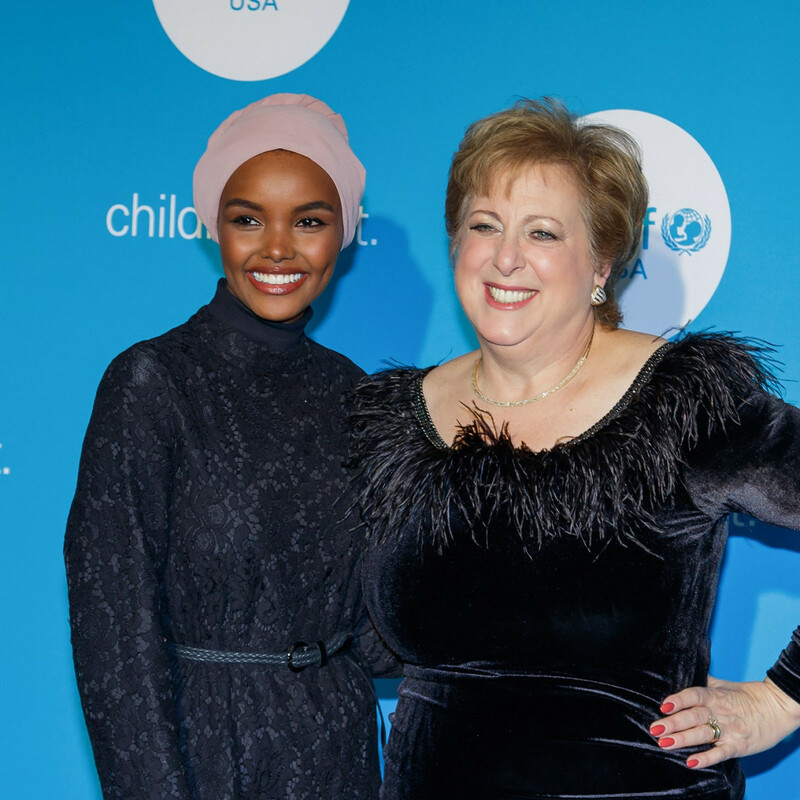 UNICEF works in more than 190 countries and territories around the world and has saved more children's lives than any other humanitarian organization, it says.